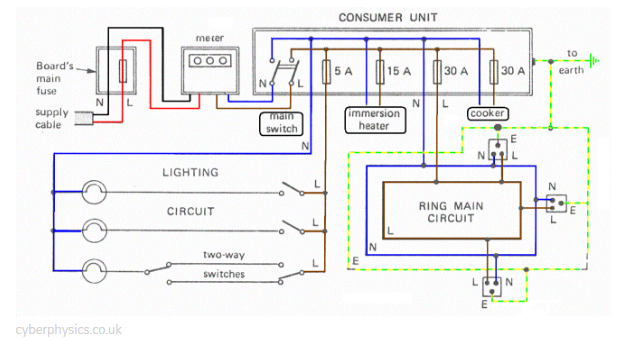 A circuit breaker (CB) is a device that protects homes and buildings from fires or accidents caused by shorted wires. In many areas, structures are already mandated by law to integrate some form of Residual Current Devices (RCD), such as Circuit Breakers. But how do circuit breakers work and why are they essential as safety measures for every home and establishment? There are different types of circuit breakers, and each type has a unique mechanism for protecting against power upsurges. Basically though, the circuit breaker is found in the switch board, in a series with the circuit’s live wire. The configuration is illustrated in the diagram below. When the device breaks, all the live wires in the protected system are cut off from the source. This prevents further build-up of heat along the electrical lines and eventual outbreaks of fire. They stabilize the flow of electricity house or a part of a house. This protects your appliances and electrical items from sustaining damage caused by constant electrical fluctuations. In emergency cases when faults or high or abnormal power discharges occur along the wirings, these devices cut-off electricity from the protected circuit for the safety of users. They also facilitate controlled power shut-off in targeted circuits for maintenance purposes. A fuse is a small electrical safety device which contains a metal strip that melts when there is an overloaded inflow of current towards the protected circuit. The melted strip breaks the flow of electricity and cuts off supply from all the live lines in that circuit. Once a fuse melts, it needs to be replaced or rewired. A safety switch is designed to identify and prevent possible electrocutions by detecting fluctuations in the electrical flow of a circuit. Its main function is to protect people who are using the electrical system from possible shock and injuries. A circuit breaker works the same way as a fuse, but could be reset multiple times after it “trips” or breaks the circuit connection. Its main purpose is to cut off electrical supply when power usage threatens to cause an overload or fault. This usually happens when too many appliances are plugged into a system and require more electricity than the electrical cables can handle. The Circuit Breaker is an important device for protecting people and properties from possible electrical accidents. It is also a more convenient, efficient, and economical means of controlling electricity flow in a circuit compared to fuses and safety switches. 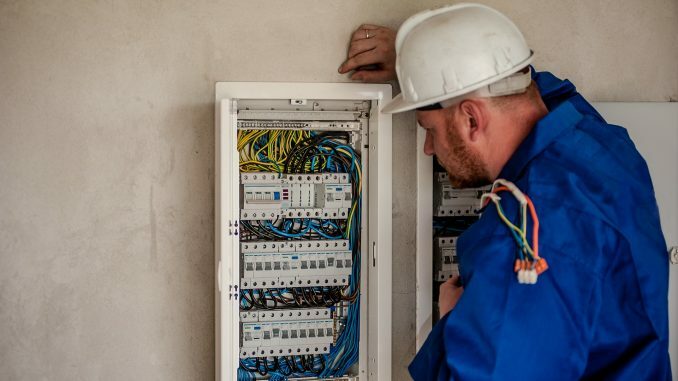 Hire an electrician and see whether you need to update your circuit breaker as soon as possible to ensure that you and your family are completely safe at all times.